Chapter 1: What’s College For? Getting started in college can seem like an uphill battle. One of the first challenges a student can encounter is navigating the college’s website. In the attempt to get as much information as possible into the hands of current and future students, college websites are crammed full of information and language that may be new to the first-time college student. Trying to figure out how to get started can be confusing, even when the web site says, “Steps To Enroll.” Registration, admission, enrollment… are they all the same thing? If you are registered, are you admitted and enrolled? Is enrollment in the college the same thing as enrollment in classes? And that’s just the beginning of the potential for confusion! How can a student know the answers to these questions? Learning to speak the “language of college” can seem even harder than learning a foreign language because as a new student, you have no idea what words you need to learn. If you travel to a foreign country, you know there are core vocabulary words you will need. Things that will get you the food you like and services you need. Basic needs like bread and water can be correlated among different languages. A dog is a dog all over the world and not confused with a cat. The vocabulary of college is not so straightforward. One of the first decisions a student may need to make is if they are planning to attend college as a credit or non-credit seeking student. Even more confusing, non-credit students can also be referred to as “continuing education” students. For example, a student wants to take a drawing class. One of the first questions that may be asked is whether the student wants to take the class for credit or non-credit? Both types of students can take drawing classes. If a student doesn’t know what a credit is or what one is worth, it’s hard to answer the basic question in order to register for the drawing class, and the registration process is very different depending on the answer to the question of credit or non-credit. How can a student know if he/she wants to be a “credit student” or not? What is the difference between a credit and non-credit student? Credit Students are working towards either a career/technical certificate or degree program at Lane, or are taking courses that will be eligible to transfer for a program at another college or university. In some cases, students take courses that are offered for credit for personal reasons or skills updating, even if they do not need the college credit. Noncredit or Community Education Students are taking courses for personal or professional interest. These courses do not offer college credit, but in some cases community education students can earn continuing education units, certification or other evidence of class completion to meet personal or professional requirements. The terms “Continuing Education” and “Community Education” are used interchangeably at Lane, and do not refer to credit students who wish to continue with credit coursework. Noncredit classes are offered at many different locations. Noncredit community education students can take advantage of many college services. Even this definition does not necessarily make clear to students whether to take courses for credit or non-credit. For example, if a student’s goal is to pass the State of Oregon Board certification exam for Massage Therapy, then at Lane Community College that program will be located in the non-credit side of the college, but at nearby Chemeketa Community College, the Message Therapy program is located in the credit side of the college. Students at both schools will take the same State Board Exam, but their academic preparation will not be transcribed in the same way. One important difference between credit and non-credit/continuing education courses is whether or not a student will be able to use Federal Student Aid to pay for the courses. Check with the specific college you are interested in attending to see whether or not you can use Federal Student Aid for tuition in the program you want to study. Another important difference may be in the transferability of the course work to other institutions. A student may find credit classes are easier to transfer than non-credit classes. The importance of this factor would depend on the long-term goal of the student. The key to answering the question of credit or non-credit lies in determining what program of study a student will pursue and how the college of choice classifies that program. Learning to speak the language of the college is part of learning the school’s culture. It is important to remember that not all colleges use the same words in the same way. Below is a list of commonly used terminology at Lane. Without using the Internet or college catalog, see how many words you know the meaning of. Write the meaning in the space adjacent to the term. *A list of the definitions to the vocabulary words listed is provided at the end of the chapter. As a college student, you will need to come up with a strategy for learning lots of information, like the specific language of your school. Tim Ferris has a TED Talk about mastering skills by deconstructing them. When you deconstruct something, it means to take something large, and break it down into smaller parts. It also means to identify why you might fail before you start and make a plan to stop failure before it happens. Axis of Awesome is a comic music group that has created a funny video demonstrating simplicity and seeing the common factor among songs. Based on the ideas of simplifying and deconstructing a task in order to learn it, think of how those ideas could be applied to mastering the language of college. Can you see any ways to simplify the task of learning 30 words? Are there any connections between the words that you can see? Will you need all the words all the time? Will you need some words more frequently than others? When and where might you need each of the works? Can you think of any words not included in this list that would be helpful to know in relationship to your college vocabulary? Registration The process of signing up for classes using myLane. Student Number Lane does not use Social Security numbers to identify students. Students are given an “L” number after the admission process is completed. Probation A student who does not achieve satisfactory academic progress will be placed on academic probation. Students on academic probation may be required to meet with a counselor or advisor before they can register for the next term. Credit Hour At Lane, one credit is generally equivalent to one hour of class per week over an academic term. The average number of credits for a full time student is 12-15 credits per term. Part-time students enroll in fewer than 12 credits per term. Term A term, or quarter, is a unit of academic time. At Lane, we have four terms per year. Fall, Winter, and Spring terms are each 10 weeks of instruction, plus one week of final exams. During Summer Term courses may be four, six, eight, or twelve weeks in length. Tuition Money charged for instruction. Tuition charges are different for credit and non-credit classes, and for residents and non-residents of Oregon (including international students). General Education/Gen Ed Refers to general education core required classes for transfer degree options. Elective A course that does not meet any specific requirement for a degree or certificate. Unless there is a restriction, when an academic major requires an “Elective,” students may choose any credit class in the catalog. Degree Degrees usually require that students complete a set of courses, often known as “core requirements.” Lane offers associate degrees in many areas. The number of credits need to complete a degree may vary. Generally, associate degrees require around 90 credits in the quarter system. Certificate Getting a certification usually means that you completed a specialized form of training. Also, it can mean that you have the technical knowledge of a specific field. Generally it is faster to complete when compared to getting a degree, as most certification programs take less than a year to complete. Career pathway Career Pathway Certificates of Completion (CPC) are between 12-44 credits and are fully embedded in an Associate of Applied Science degree or One Year Certificate. They acknowledge proficiency in specific technical skills and are a “milestone” toward completion of a more advanced program. CPCs help students qualify for entry level jobs, enhance their current program, or advance in their current field of employment. Financial Aid Financial aid is any grant or scholarship, loan, or paid employment offered to help a student meet his/her college expenses. Such aid is usually provided by various sources such as federal and state agencies, colleges, high schools, foundations, and corporations. Stafford Loan Stafford Loans are available both as subsidized and unsubsidized loans. Subsidized loans are offered to students based on demonstrated financial need. The federal government pays the interest on subsidized loans while the student is in school and during authorized deferment. Scholarship A scholarship is a financial gift awarded to a student on the basis of academic achievement and promise. Many scholarships are based on merit; however, some are based on various criteria or financial need. Scholarships do not have to be repaid. Scholarships are worth seeking! Grant Unlike loans, grants­­­­—which can come from the state or federal government, from the college itself, or from private sources—provide money for college that doesn’t have to be paid back. Federal Work Study Federal Work-Study provides part-time jobs for undergraduate and graduate students with financial need, allowing them to earn money to help pay education expenses. The program encourages community service work and work related to the student’s course of study. Transcript A college transcript is your school’s documentation of your academic performance. Your transcript will list your classes, grades, credit hours, major(s), minor(s), and other academic information, depending on what your institution decides is most important. It will also list the times you were taking classes (think “Spring 2014,” not “Monday/Wednesday/Friday at 10:30 a.m.”) as well as when you were awarded your degree(s). Non-Credit/Continuing Education These courses do not offer college credit, but in some cases community education students can earn continuing education units, certification or other evidence of class completion to meet personal or professional requirements. Noncredit classes are offered at many different locations. 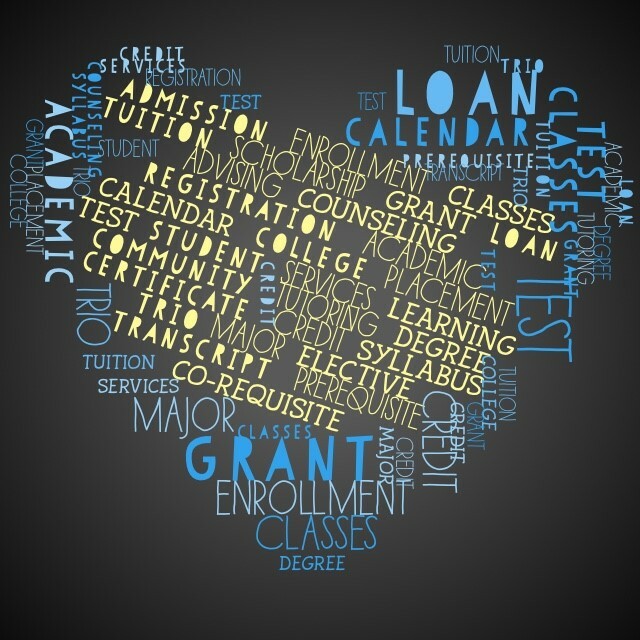 Noncredit community education students can take advantage of many college services. Audit If you choose a grade option of “Audit” you may attend class but no credits are earned. The grade recorded on your college transcript is U, which has no effect on your grade point average. The tuition charges for audit are the same as for all other grade options, i.e., you will be charged the full tuition for courses that you choose to audit. Grade Options When you register for a class, myLane will always assume that you wish to receive a letter grade (A, B, C, D, or F) for the course. If you prefer to take a class for a Pass/No pass or Audit grade option, you must change your grade option using ExpressLane within the first eight weeks of a full-term class. Course Number The CRN is a five-digit number that identifies a specific section of a course. Credit courses have a course number that includes letters and numbers (e.g. WR 121, ART 115). Non-credit course numbers have letters and numbers in the format XART 5785. The “X” before the subject and the four-digit numbers identify the course as non-credit. College Level Course College level courses have course numbers 100 and greater. Pre-College Level Course Pre-college credit courses have course numbers below 100, and do not transfer to a 4-year institution. Lower Division Course Courses with course numbers between100 and 299. These are generally freshman and sophomore level courses. Upper Division Course Courses with numbers 300 and above. These types of courses are offered at colleges with Bachelor’s degree options and above. Co-requisite Requires a student to take 2 separate classes that are linked together as part of a program or Learning Community. Learning Community Learning Communities are linked courses with the same students and connected content. ExpressLane & myLane ExpressLane is Lane Community College’s web-based tool for registration, making payments, viewing transcripts, checking your financial aid status, and much more. myLane allows students to interact with the college from any computer connected to the Internet. Created by Alise Lamoreaux using the Visual Poetry app. A Different Road To College: A Guide For Transitioning To College For Non-traditional Students by Alise Lamoreaux is licensed under a Creative Commons Attribution 4.0 International License, except where otherwise noted.